A big part of what we do here at effloresce is manage our client’s social media channels. Social media has become one of the most important and influential business communication platforms out there – and how you use it can make all the difference to whether your efforts are worthwhile or not. Anyone can write a post on their social channel, but are you talking to the right people, at the right time and in the right way? Are you thinking about your business objectives before posting? 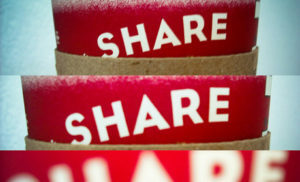 Are you “telling” or “sharing”? If you undertake social media marketing, have a read through this guide – and if you need help, give us a call. We can take your social media from a simple tick box, to making it work much harder for your business. When it comes to sharing your news and opinion on social media, it’s important you are giving a true reflection of your company and it’s values. Your followers want to hear from YOU and YOUR BUSINESS. Talk in a language they understand, in a way in which they are familiar and comfortable with. If someone posts on your behalf, are they aware of your company tone of voice and brand guidelines? Do you even have a set of brand guidelines to ensure consistency across all your marketing comms? These are all important factors to bear in mind when it comes to letting your business voice be heard. You may see an article you personally find interesting, and would like to share it. But would you followers resonate with it? What do they want to hear about? Consider the user profile of each social media channel and position content accordingly. Social media isn’t about a quick fire blanket approach to content, ensure you undertake a considered content strategy for each social platform before you get busy with the keyboard! As we tell all our clients, social media will not guarantee sales overnight. Yes, it can help to build your brand reputation, generate awareness and increase visibility of your business. However, many other business and marketing activities will impact upon customer acquisition and revenue growth. Social media should form part of your overall marketing strategy. It also takes time and investment. Posting once a week, when you remember, won’t cut it. You need to post regularly and consistently…with varied, engaging content to keep your followers interested, as well as attracting new ones. Customers expect brands to tailor content, offers and discounts to their unique interests. Consider targeted advertising campaigns via sponsored content to enable you to target precise customer profiles and ensure a higher level of engagement. 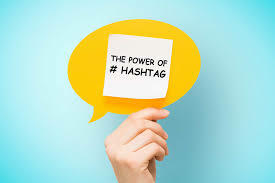 Use Hashtags to give your content relevancy and appeal. By identifying clear keywords, you facilitate the ability for users to search via those keywords and your post is much more likely to be displayed in the newsfeed of relevant users. We would also always include a relevant URL to your own website if possible, in order to drive organic traffic. Referring traffic to your website via credible sources will also make Google very happy and encourage you to be ranked more favourably in search terms. Whether you receive good comments or bad, always respond where possible. Not only will this boost posts back up the newsfeed of others, it will display your company in a positive light. Companies who acknowledge, share and comment are seen as companies who care about the viewpoint of the customer. Commenting humanizes your brand and again, brings out your personality which customers will warm to. It isn’t called “Social” media for nothing! As stated above, good comments or bad, the worst thing you can do is ignore, or even worse, delete a comment you aren’t happy with. Always take the opportunity to comment and rectify. Social media needs constant monitoring, so again, be prepared to invest some time to be aware and ready! Not every social media platform will deliver results for your business. Managing too many channels can become overwhelming and their effectiveness could become diluted. Know where to go fishing! Be selective on where you invest the most time, you can always look at other channels at a later date, nail them one at a time. It should go without saying but we are still surprised at how many posts are published with spelling errors and incorrect links. Before making posts live, review what you wrote – twice! Review once again once published as random errors may still appear despite your best efforts, particularly when using a scheduling tool. “Social” media is most effective when it is used to share and engage. Of course your followers will want to hear all about your product or service, but try not to simply use your social media channels as yet another advertising platform for the hard-sell. Use your social media platforms to engage with your followers, start dialogues, offer opinions, share content from other sources you feel would add value. Give your followers a reason to want to hear from you and set yourself apart from the rest. What you want is organic followers – people who truly want to hear from you. Buying likes through sponsored advertising may look good on paper, but having 100 genuine followers is better than having 1000 followers who have been “bought” through sponsored posts. Build a slow and steady network of real people who are more likely to engage with you and share your content within their own networks, thereby increasing your awareness! 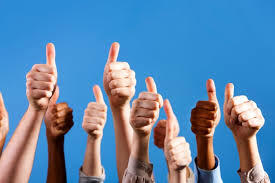 Company testimonials & case studies – feedback sells! If you need help with managing your social media strategy and execution, or would you like us to work on a social content plan for you? If so, give us a call.